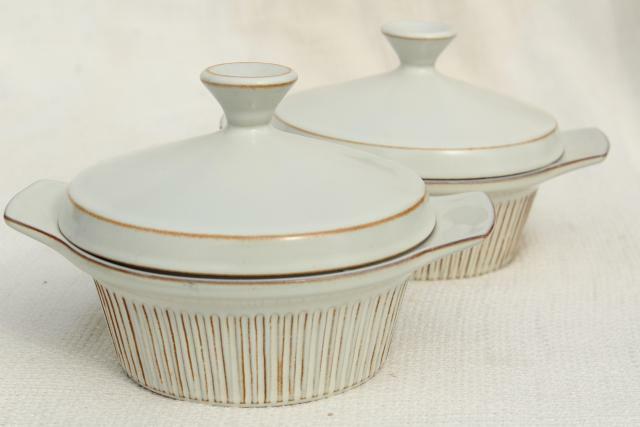 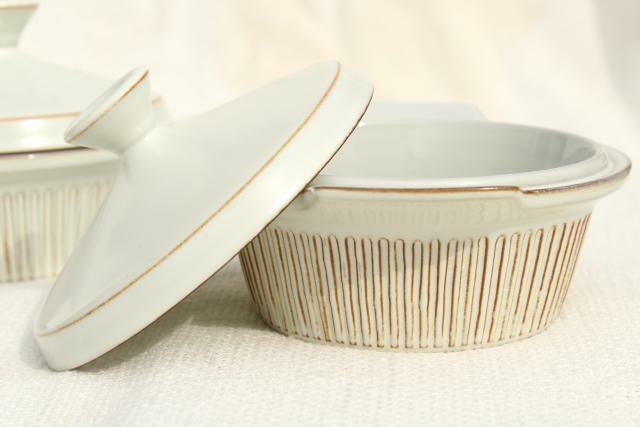 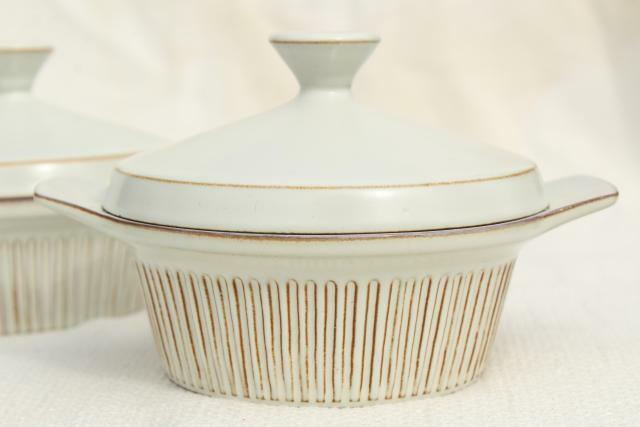 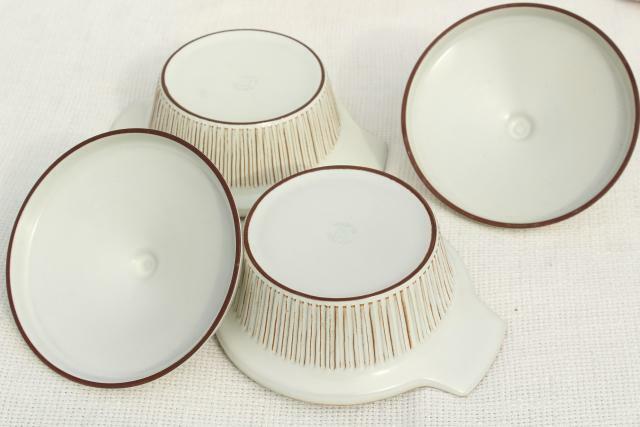 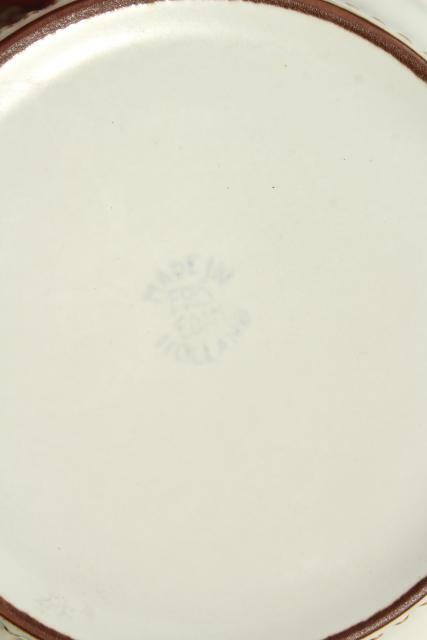 Cleopatra pattern Fris Made in Holland ceramic ware - this lot is a set of two individual size casserole dishes, about 6 1/4" across the handles. 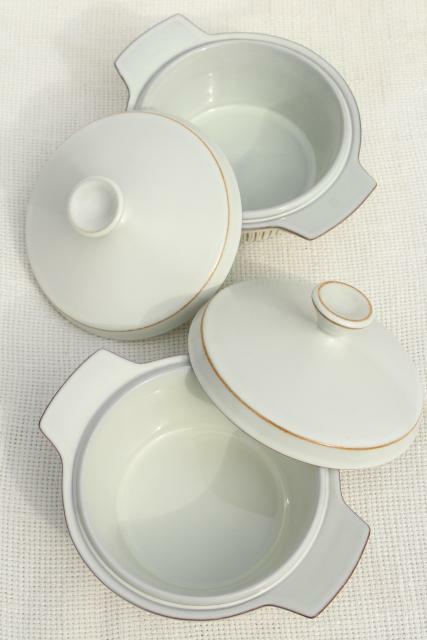 These are both very good condition showing very little if any use, no chips or cracks. 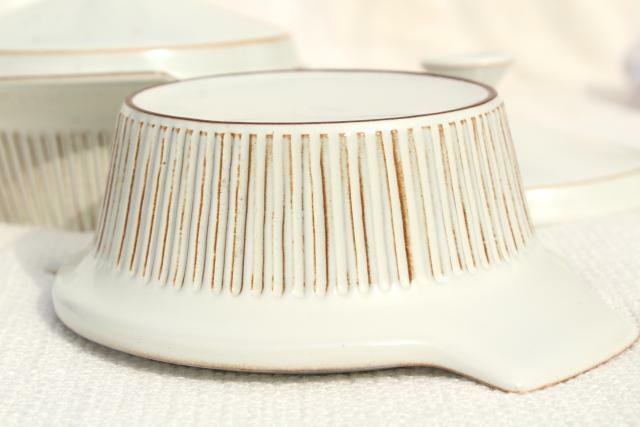 Nice heavy pottery with a minimalist mod style!